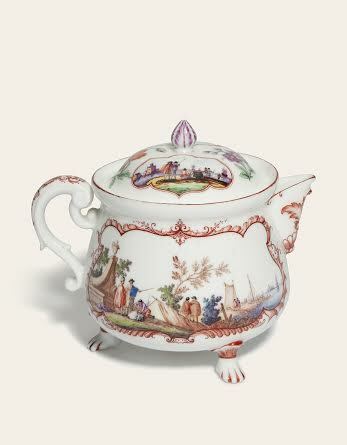 Rare and beautiful porcelain from France and Germany will feature in a sale in London on Novcmber 25. John Shearer (1924-2010) began forming his collection in the late 1960’s, successfully placing Meissen porcelain alongside pieces of Vincennes and Sèvres. 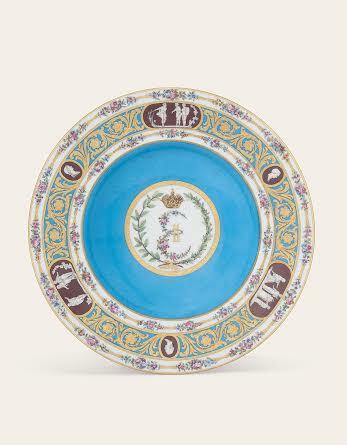 With an eye for exceptional quality, impeccable condition and important provenance, the Shearer Collection unites both the French and German porcelain worlds. 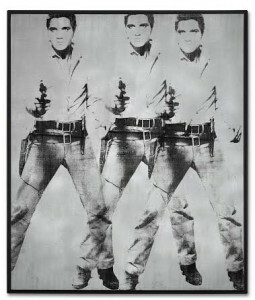 The 49 lot sale is expected to realise around £500,000 at Christie’s. 1778 (£70,000-100,000). Courtesy Christie’s Images Ltd., 2014. CIRCA 1730 (£40,000-60,000). Courtesy, Christies Images Ltd., 2014. 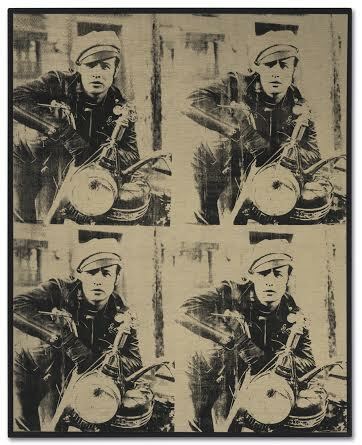 THE 82 lots at Christie’s most ambitious yet evening sale of Post-War and Contemporary art in New York on November 12 carry a combined estimate of $600,000,000. 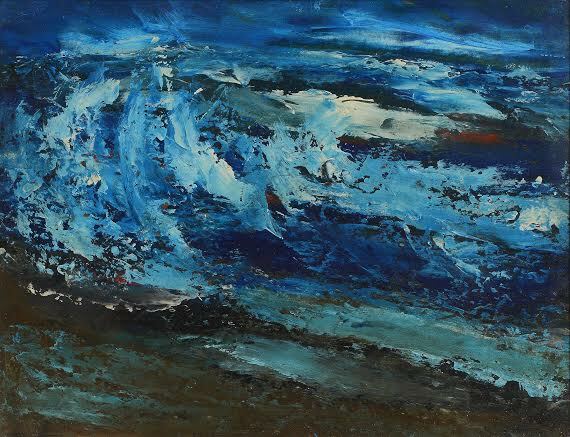 An unprecedented selection of paintings, sculpture and photographs, illuminate the extraordinary talent and uncompromising vision of some of the most influential artists of our time. Masterworks by Andy Warhol, Franz Kline, Willem de Kooning, Jeff Koons, Martin Kippenberger, Cindy Sherman and many others who explore powerful ideas—of truth, provocation, beauty, and life itself—that reached their creative apotheosis in art. The auction reflects the current demand from new and seasoned International collectors’s for the best of the best, with prestigious provenances, and exceptional museum exhibition history. 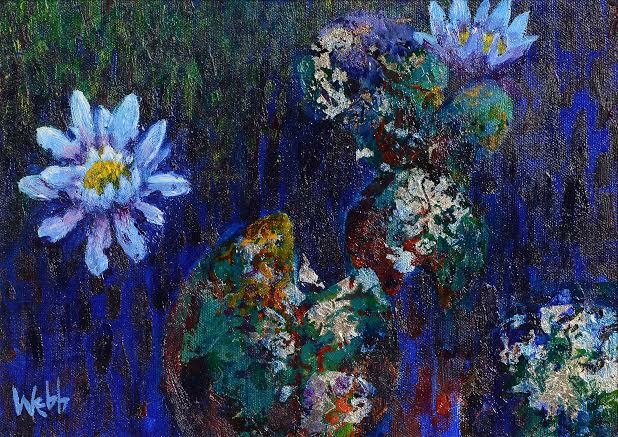 Almost half of the works featured in the sale come fresh to the market, having remained in private collections for a decade or more, while nearly 62% of the works have been featured in major museum exhibitions. 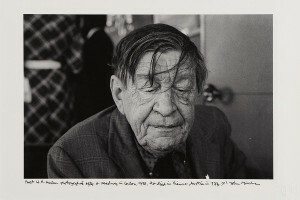 My personal favourite from among them is the Kline. You can click on the following link to watch an interesting video about Kline’s King Oliver. 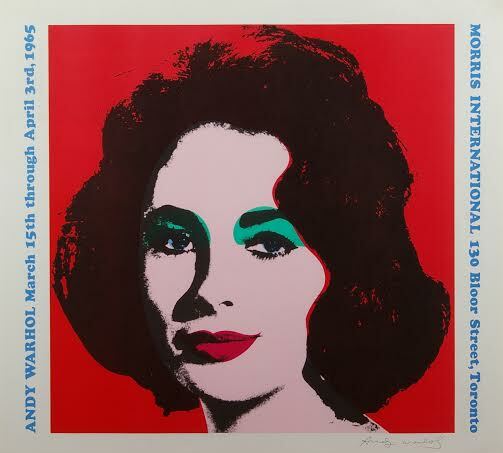 Andy Warhol at Haynes Fine Art. 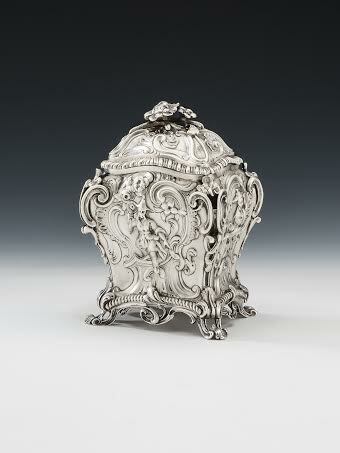 George III silver tea caddy at Mary Cook Antiques. 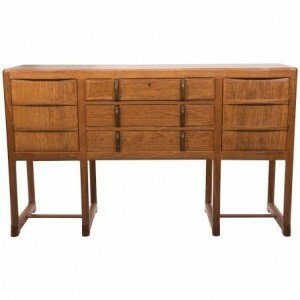 Early oak sideboard by Gordon Russell in Cotswold School Style at Holly Johhson. 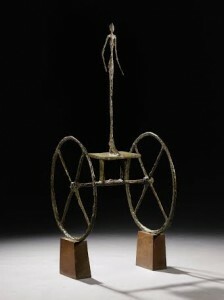 Alberto Giacometti’s Chariot is estimated to achieve more than $100 million at Sotheby’s Impressionist and Modern evening sale in New York on November 4. 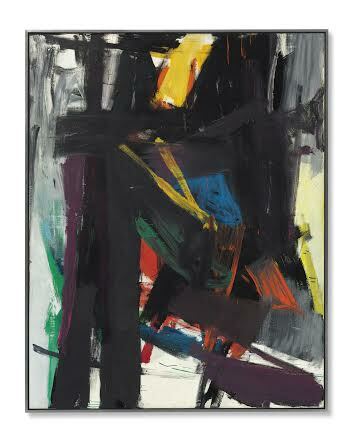 It is considered to be the masterwork of his career and a seminal achievement of modern art. The bronze depicts a goddess frozen in motion on her large wheeled chariot. It was conceived in 1950 and cast in 1951-52. This example, set apart by its gold patina, is one of the only two casts in private hands and is the first Chariot to appear at auction in 30 years. 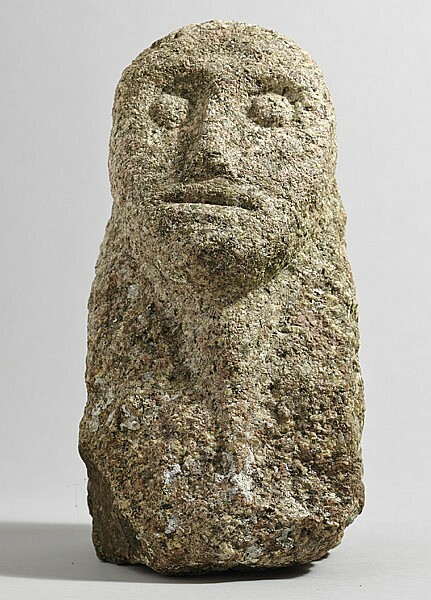 Six casts of the piece, which has its origins in Surrealism, were made during his lifetime. 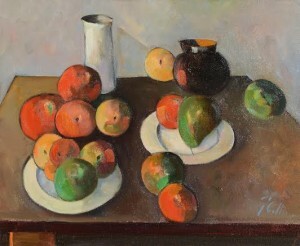 The sale will feature the finest still life by Van Gogh to appear on the market in decades. Still Life, Vase with Daisies and Poppies is estimated at $30-50 million. Amadeo Modigliani’s Tete is estimated to make more than $45 million. 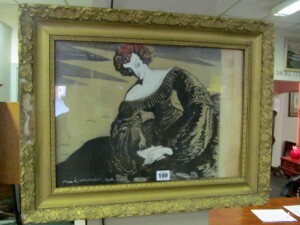 Exhibited at the Paris Salon d’Automne in 1912 it has never before been offered at auction. It was quarried from a single block of limestone. 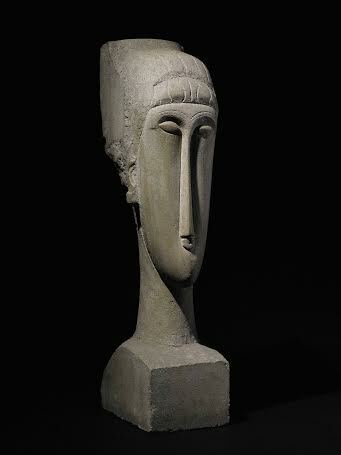 Modigliani found these on construction sites around Paris – including work on the Paris Metro. 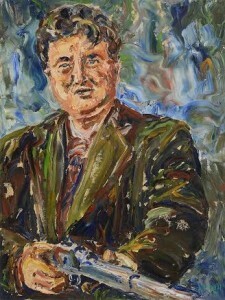 He carted them back by wheelbarrow to his studio in Montparnasse. Alberto Giacometti – Chariot. UPDATE: IT SOLD FOR $101 MILLION. A late 19th century sapphire and diamond brooch leads Christie’s sale of Important Jewels in London on November 26. The sale includes an array of both antique and modern jewellery, signed pieces by the great houses such as Cartier, Chaumet, Dior, Graff, Mauboussin, Tiffany and Van Cleef & Arpels, together with some exceptional coloured stones and diamonds. 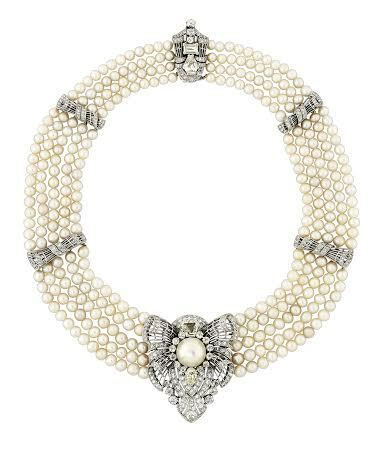 The exceptional brooch was once owned by the Hon Evelina Rothschild, and could well have been a wedding present when she married Clive Behrens on December 5, 1899. 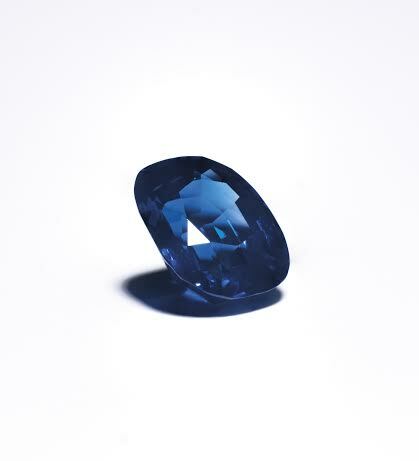 What makes this brooch so special is the sapphire of Kashmir origin at over 14 carats which bears no indications of heating and is rare in its finely proportioned cut and richly saturated colour. 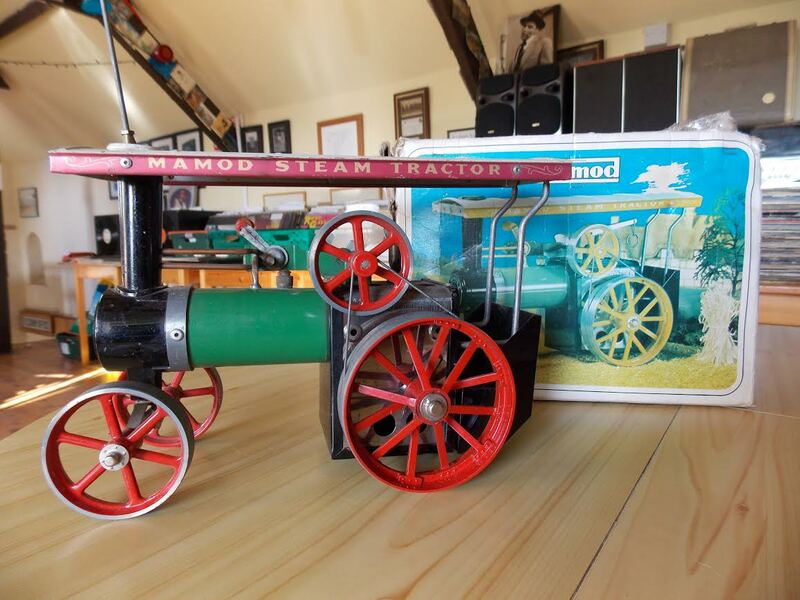 It is estimated at £400,000-500,000. The sale of 444 lots is expected to achieve in excess of £9 million. THE 14 CARAT KASHMIRE SAPPHIRE FROM THE BROOCH. 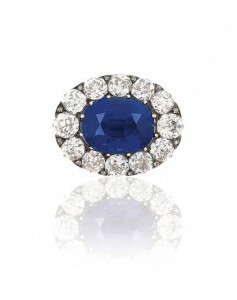 THE LATE 19TH CENTURY SAPPHIRE AND DIAMOND BROOCH (£400,000-500,000). AN ART DECO NATURAL PEARL AND DIAMOND NECKLACE/CLIP BROOCH (£80,000-100,000). Two Iron Age carved stone heads will feature at Whyte’s History and Literature auction in Dublin on November 8. Carved respectively from limestone and granite they are representative of the Celts. Stone carved heads like these are found throughout Europe in areas inhabited by the Celts and are particularly associated with Ireland and Britain. Each of these heads dates to 500 BC – 500 AD. 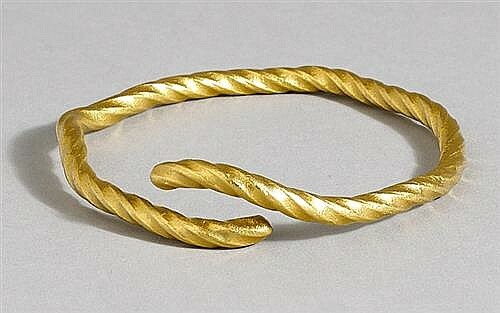 A Celtic twisted gold torc, discovered almost a century ago on the banks of the Danube, by a family who subsequently moved to Ireland, will also feature. It dates to between 1200 and 500 BC. 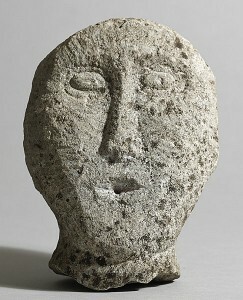 It is being sold by a descendant of the person who discovered it and is estimated at 8,000-10,000. 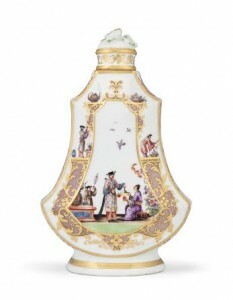 New and established collectors turned up for a series of auctions to mark the first anniversary of Christie’s in Shanghai. Modern and contemporary art, wine, jewellery, watches and the new category of Chinese Contemporary Design sold to both Chinese and international clients. 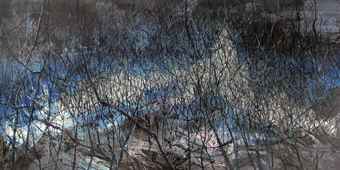 The top lot in the Asian and Western art auction was Zeng Fanzhi’a Untitled 06-3 which made US$3,188,562. The design sale was led by Da Tian Di (Sky and Earth), an exceptionally large Bo Luo lacquered Zitan desk which made US$830,204. The sales brought in US$21,674,692. “Collectors gathered in Shanghai, virtually and in person, to celebrate the art of living and living with art. When Christie’s was permitted to be the first international auction house to host independent auctions in mainland China in 2013, we made a commitment to curate inspiring and inviting artistic experiences for our clients. 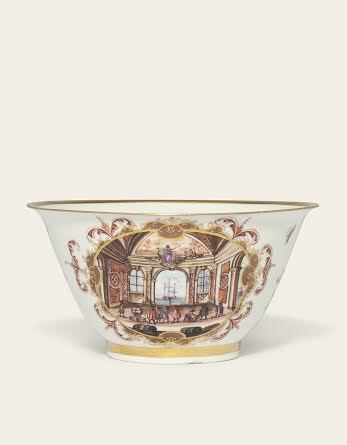 The selection of Asian and Western art and objects on view this week delivered on this promise,” said Jinqing Cai, President, Christie’s China. Zeng Fanzhi – Untitled 06-3. 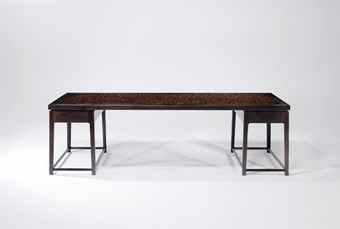 Da Tian Di Bo Luo lacquer Zitan desk. 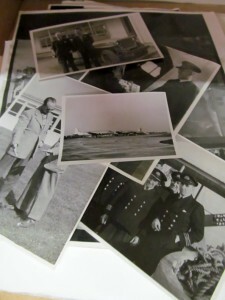 The two day National Antiques Art and Vintage Fair takes place in Limerick on November 1 and 2. Hibernian Antique Fairs promise to transform the South Court Hotel into Ireland’s largest pop up antique shop. Dealers from all over Ireland, north and south, will be in attendance with everything from 18th and 19th century furniture and contemporary art to jewellery, silver, gold, porcelain, barometers, glass, militaria, vintage items and a huge variety of collectibles. 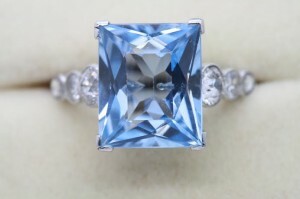 An aquamarine and diamond ring priced 5,750 at Weldons. 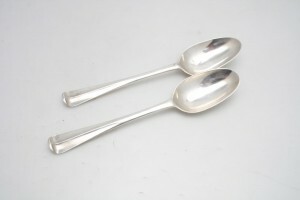 A pair of c1750 Hanoverian style Limerick tablespoons by George Moore at Weldons. A watercolour signed and dated by the actor Micheál Mac Liammóir (1899-1978) is one of the more unusual lots at the auction by Matthews of Oldcastle, Co. Meath on October 28 at 6.30 p.m. Lady of the Theatre with Red Hair is a 1942 work by the impresario and artist who was co founder of the Gate and one of the best known actors of the Irish theatre. It is estimated at 700-1,000. The sale also feature books of Irish historical and journalistic interest from the collection of the late Arthur Quinlan, the Limerick based journalist who died aged 92 in 2012. 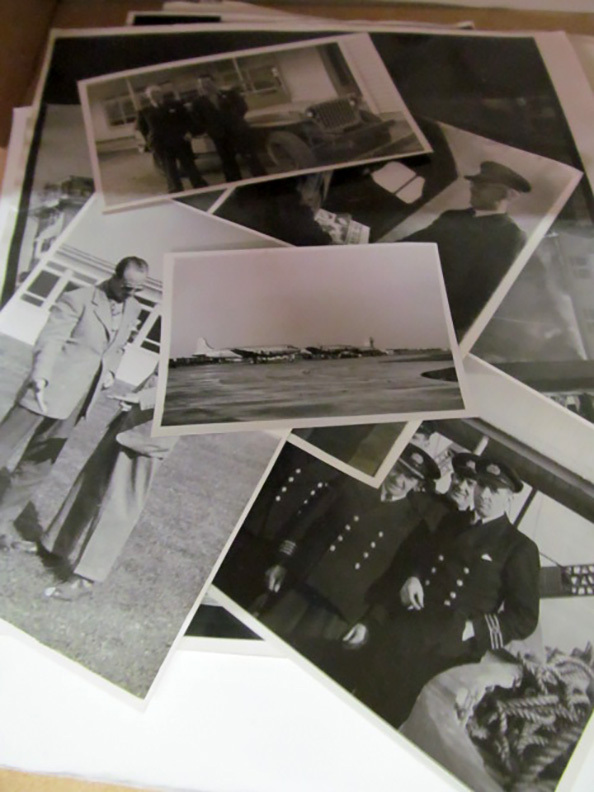 Mr. Quinlan covered Shannon Airport and there are various files and photos related to the airport with original photographs including his interview with Fidel Castro. There are over 600 lots and the catalogue is online.